You can have the Mercedes S-Class in no less than four different lengths. You have the regular version of the sedan, the long-wheelbase derivate, the further stretched Maybach version, and this – the Pullman. Not just any ordinary Pullman, but the ultra-expensive Guard version featuring armoring to protect the occupants from just about any dangers. Even the tires are bulletproof, while behind the rear seats is a steel bulkhead to secure the heads of the passengers in case of a terrorist attack. This particular Pullman Guard has an interesting story since it’s a combination of the pre-facelift Maybach Pullman and the most recent version revealed a little over a year ago. 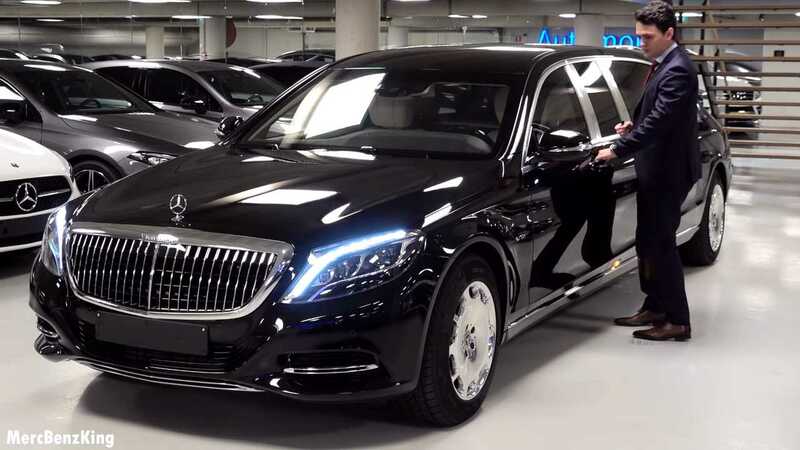 Considering it takes about a year and a half from order to delivery, it means this car was commissioned prior to the release of the Mercedes-Maybach S-Class Pullman, yet it has the shiny new grille with the vertical slats as well as the lightly updated exhaust. Dictators, oligarchs, and heads of states should know the car starts off as an anything-but-regular Pullman and then Brabus takes care of the stretching. Once work is done, the S-Class measures a whopping six and a half meters (256 inches) and weighs 5.6 tons (11,200 pounds). Moving all that metal is a twin-turbo V12 engine with 523 horsepower and 900 Newton-meters (664 pound-feet) of torque. It’s worth pointing out the 2018 Pullman facelift has been bumped to a mountain-moving 1,000 Nm (737 lb-ft). This video goes through some of the changes the Pullman has gone to become the Guard version, such as the impressive thickness of the windows, bulky doors, sirens, flashing lights, flagpoles, and the emergency buttons integrated into one of the cupholders. There’s also an external communication system with a loudspeaker and a microphone allowing those inside the car to talk with nearby people and vice versa. All this exclusivity comes at a price as the Mercedes-Maybach S600 Pullman Guard starts off at about €1.4 million, which works out to $1.56M at current exchange rates. It’s effectively the most expensive model you can buy with the three-pointed star taking into account the AMG One has long been sold out.